Pharmaceutical giant Johnson and Johnson is buying surgical robotics company Auris Health for $3.4 billion. „In this new era of health care, we’re aiming to simplify surgery, drive efficiency, reduce complications and improve outcomes for patients, ultimately making surgery safer,“ Ashley McEvoy, the executive vice president of medical devices at J&J, said in a statement Wednesday. 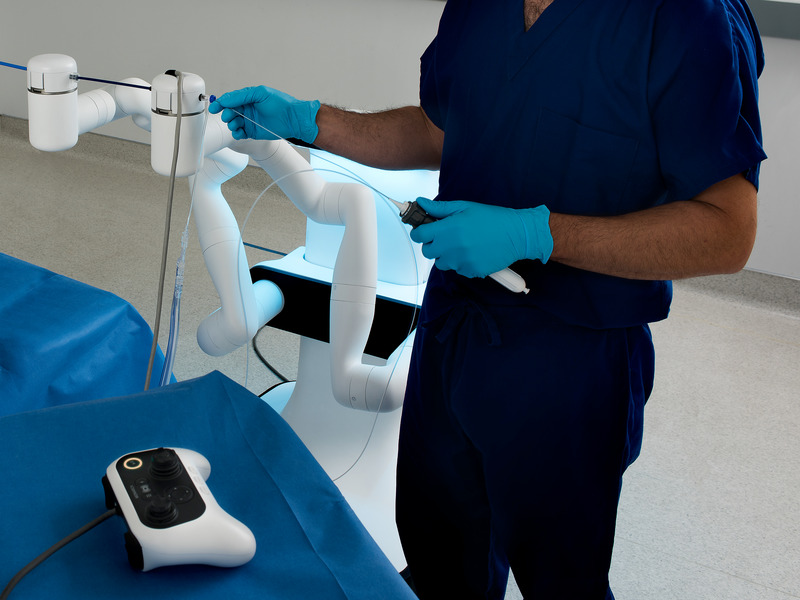 Johnson and Johnson is bulking up on its surgical robotics presence by acquiring Auris Health for $3.4 billion. The surgical-robotics company was most recently valued as a private company at $2.1 billion, putting it among other health-tech unicorns. The deal also includes up to $2.35 billion in payments based on development milestones the company hits. „In this new era of health care, we’re aiming to simplify surgery, drive efficiency, reduce complications and improve outcomes for patients, ultimately making surgery safer,“ Ashley McEvoy, the executive vice president of medical devices at J&J said in a statement Wednesday. In March 2018, Auris got FDA approval for its product called Monarch, which is a controller-operated robotic camera that helps doctors get visuals from within the body, including the lungs. „We believe that Monarch will become the go-to approach for diagnosing lung cancer in the future,“ Auris chief scientific officer Josh DeFonzo told Business Insider at the time.